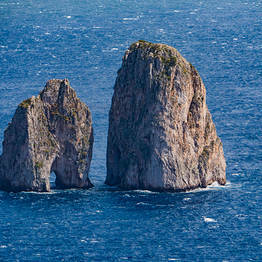 Want to come to Capri in the autumn or winter, but worried you'll find everything closed? 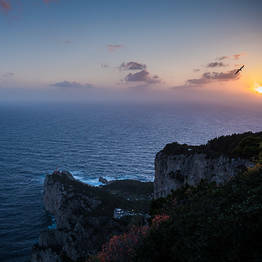 Here are a few insider tips for those keen to discover a different kind of Capri: wild, romantic, and almost completely tourist-free! From the end of October to the week before Easter, most of the businesses on the island that cater to tourists close for the season, and only the shops, cafès, and restaurants that locals use remain open. 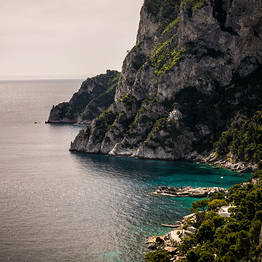 Tips for Visiting Capri in the "Off Season"
Pack for Cool Temperatures: despite what you may think, it's not summer all year round on Capri! Though temperatures are never polar, the wind and damp can be problematic if you have not packed accordingly! To find updated information about ferry routes, contact the ferry company call centers directly. 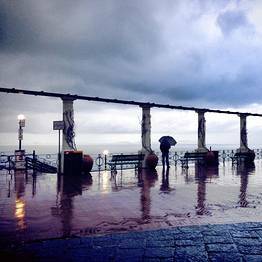 This Facebook page has updates in Italian regarding departures when sea conditions are rough. 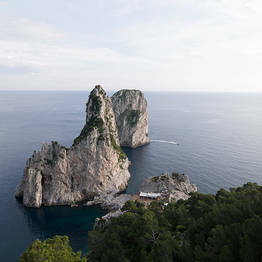 The Tourist Information Office on Capri keeps an updated list of open restaurants and museums. Walk of course! Make sure you stroll through the Gardens of Augustus, which is free during the winter. 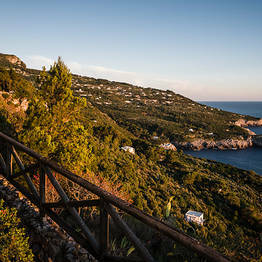 One of the best walks is along Via Tragara with its fabulous view of the Faraglioni at the end from the Belvedere di Tragara . Another all-year-round attraction is the chairlift to Monte Solaro. In the winter, the chairlift is open until 4 pm. On a clear winter's day (without the risk of summer haze!) the view from the summit is particularly spectacular. Don't be lazy: by all means, take the chairlift up to the top of the mountain, but make the descent in foot, via the pretty cliff edge church of Cetrella. 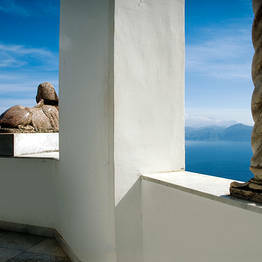 On your way down, stop at Villa San Michele, open all year round. 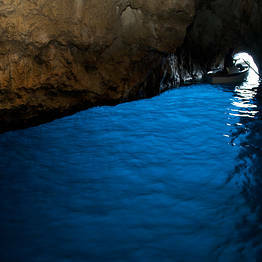 If the weather is fine and the sea is calm, you can visit the Blue Grotto. 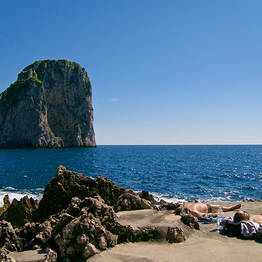 Inquire at the Tourist Information Office in the Piazzetta or Marina Grande (081 837 0686) if the grotto is open. Don't despair if the ticket offices for the tour boats are closed! Just ask fishermen in Marina Grande, and you'll find that there is always someone available to take you. 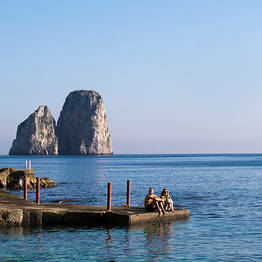 On warm days, you can even bask in the sun on the Marina Piccola beach, located on the south side of the island where the wind is less harsh and the temperature always a few degrees warmer than elsewhere on the island. 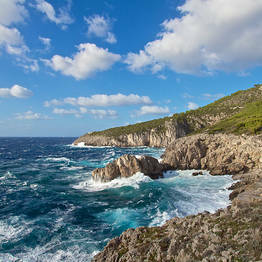 It's not unusual to find islanders swimming all year round. Aumm aumm: pizzeria and restaurant in Anacapri open only for dinner all year round. 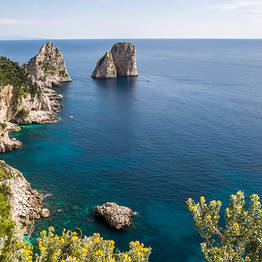 Michel'angelo: a restaurant located in center of Capri town, open in the winter months where you can also join cooking classes and order freshly prepared picnic packages. Special events and other entertainment are held during the off-season. The only bar in the Piazzetta to stay open throughout the winter is the Piccolo Bar. A great choice for a shot of hot coffee or warming aperitif, both in and outside (the bar has some incredibly effective patio heaters! ).